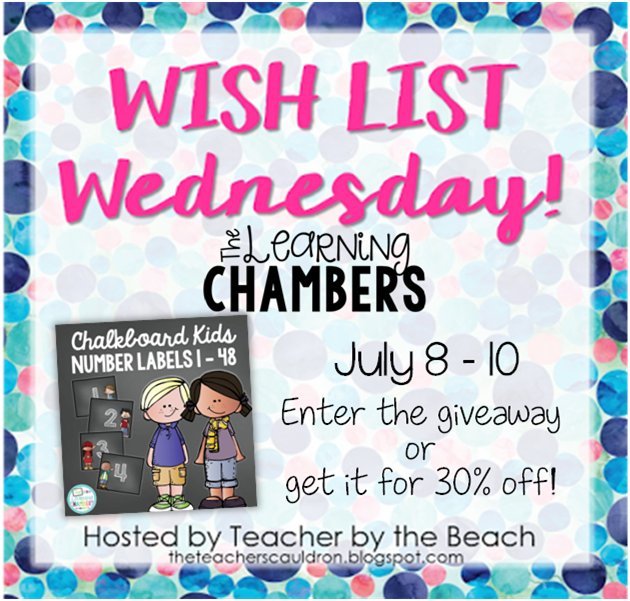 Today I'm linking up with Jen from Teacher by the Beach for my first ever Wish List Wednesday. One of the things I've been working on lately is updating some of my very first TpT products. Some of them really hurt my eyes!! I LOVE labels, can you tell?!?! I number label my kids' desks, their backpack hooks, and their book boxes. What do you love to label? 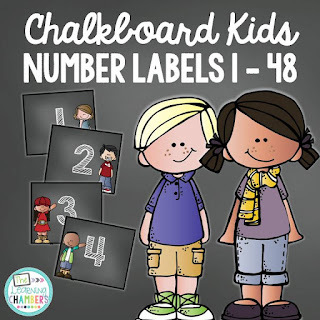 Check out all of the different options of labels that are included in this pack. Want to win your own copy of these Numbers Labels? I would probably use them for number sense activities. Thanks for the opportunity! I would use these for math stations! They are so cute! Not only would use these around my room as a number display, I would also use them in my daughters room at home!! © 2015 The Learning Chambers. Natasha Template designed by Georgia Lou StudiosNatasha Template customized by A Bird in Hand Designs All rights reserved.